According to a recent survey that assessed what CFOs considered the integral parts of revenue cycle management, the top answers were: claims, payments, collections, registration, denial management, and eligibility and benefits. The business side of managing an emergency medicine department has seemingly become less focused on patients and more on contending with regulatory requirements, decreases in reimbursements, and trying to alleviate compliance risks. While many EM departments look at these changes as additional barriers to practice growth, DuvaSawko sees opportunity for these providers to provide better care and grow their business. With our highly customized suite of revenue cycle management solutions created by emergency medicine physicians for emergency medicine physicians, our partners are positioned to win. According to an article by McKinsey & Company, 15 cents of every dollar spent on healthcare goes towards inefficiencies in revenue cycle management. This is attributed, in part, to the evolution of the Affordable Care Act and corresponding changes in claims processing, payments, collections, and other revenue cycle-related processes. This all leads to EM departments who try to keep up with these changes in-house while also trying to provide the best care possible. , Conversely, there are EM departments who trust and partner with revenue cycle experts like DuvaSawko who allow them to focus exclusively on patient care and growing their businesses. 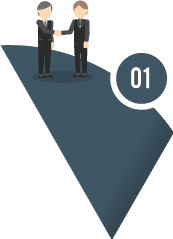 Why hire DuvaSawko to Manage Your EM Department’s Revenue Cycle? 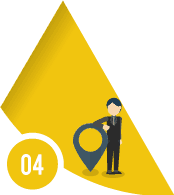 BILLING –An experienced team has the distinct advantage of skill and execution on their side. CODING & COMPLIANCE– The key to superior coding is to efficiently and effectively mitigate compliance risk while improving accuracy. DENIAL MANAGEMENT– Our Denial Management division has the resources and processes in place to effectively track appeals and underpayments. CLAIMS RESEARCH & RECOVERY– Maximize revenue capture and simplify the billing and collection process. PAYMENTS & REFUNDS– Our completely streamlined approach to payment processing and refunds ensures that all payments are posted with the highest level of accuracy to significantly virtually remove the potential for errors. REPORTING & ANALYTICS– A proprietary web-based practice monitoring system delivers detailed interactive reporting and analytics. DuvaSawko reports are objective, accurate, timely. Prior to our engagement with DuvaSawko, coding, billing, and collecting was a great deal of effort for us. Since we have been associated, the burden of trying to make sure the system continues to work has simply been lifted from us. In the ever-changing world of physician reimbursement, the increasing administrative costs and regulatory constraints can seem overwhelming to even the most seasoned emergency department professional. Emergency Room physician coding and billing can prove to be one of the more challenging specialties out there. 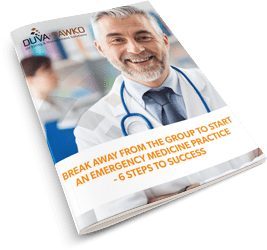 The team at DuvaSawko has developed game-changing revenue cycle strategies that have generated revenue increases upwards of 30%* for ED practices nationwide. Our unique approach leaves no stone unturned, ultimately increasing your opportunity for reimbursement. Statistics show that 34% of groups have considered leaving the practice of medicine because of the reductions in reimbursements in emergency care. The endless changes in healthcare today could be affecting your practice as well. The main obstacle practices face is having a partner who knows, with absolute certainty, all aspects of the revenue cycle. That partner is us and the time is now.